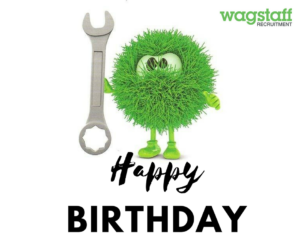 Our Wagstaff birthday is here again…and now we are 7! My daughter turns 7 this school year – my favourite business and favourite person (don’t tell the husband) growing up at the same time. I find it quite easy to draw parallels between the two. My girl is no longer the youngest in the school, she’s setting the example to others a little bit more now; learning more each day but from an established bank of knowledge that she’s secured. She still gets a little nervous over new experiences but feels such joy and elation over each new achievement – and there are many! She’s growing and I have complete and utter belief in her future. She’s smart, she’s capable, and she surprises me and teaches me every day. She reminds me to celebrate success, to try something new, to be brave, to cry about the failures and to get them right the next time. Her future is so bright and I can’t wait to be a part of it. As I say, it’s quite easy to draw parallels……. Another year at Wagstaff sees another set of changes in our evolving workplace. We’ve welcomed new members of our team, new clients and new candidates. New team members add some change and spark to the office – along with the very much needed help! New clients provide us with more recruitment needs to take into our hearts as we work towards finding the best solutions for them. New candidates come into our extended workplace family. A new bunch of career paths that we get the privilege of walking alongside. We embrace the changes, in fact, we seek them out! I recently read “Who Moved My Cheese” by Dr Spencer Johnson – a fantastic little read. It reminded me very much of my colleagues as we really do just move and adapt all the time. If someone moves our cheese – we simply head off and find new cheese! Alongside all this new stuff though, some things don’t change: the older members of the team, the old clients and candidates, the old relationships that still exist after many years. This is really down to the fact that our core values don’t change. What we work on and how we do it might change frequently, but what we believe in, what we pride ourselves on, what we really care about doesn’t change. We really can’t do much about that! I hope my daughter experiences new and exciting things all the time but I always hope to steady her with the safe, reliability of her family. Life will be full of adventures, but who we are and what we believe in remains constant. It’s those parallels again….. So, now we are seven. We have so many plans for an exciting future. I’m lucky to be a part of it and frankly can’t wait to see what it brings.